Dr. Noel Hacegaba serves as the Managing Director of Commercial Operations at the Port of Long Beach, California. He was appointed to the post in October 2014 by the Long Beach Board of Harbor Commissioners. Reporting directly to Port Chief Executive Jon Slangerup, Dr. Hacegaba functions as the Chief Commercial Officer and leads the Port’s Business Development, Customer Service, Terminal Operations and Security functions. Before his appointment, Dr. Hacegaba served as Acting Deputy Executive Director and Chief Operating Officer for the Port since June 2013. As Acting Deputy Executive Director, Dr. Hacegaba oversaw the daily business activities of the Port’s four main bureaus: Engineering, Environmental Affairs and Planning, Finance and Administration and Trade Development and Port Operations. Dr. Hacegaba came to the Port in 2010 as Executive Officer to the Board of Harbor Commissioners and managed the day-to-day activities of the Commission, including all administrative, communications and policy functions. He also made recommendations on public policy issues and served as the Board’s liaison with customers, elected officials and all other Port stakeholders. Among his other duties, Dr. Hacegaba also coordinated international trade missions. He has more than 17 years of public and private sector experience spanning a variety of industries and capacities. Prior to joining the Port of Long Beach, he worked at Republic Services, the nation’s second-largest environmental services company. As Manager of Municipal Services, Dr. Hacegaba was the principal contract administrator and negotiator for several municipal contracts totaling $200 million. He also directed business development, marketing and government affairs activities across Los Angeles and Orange Counties. Earlier, he served as Assistant Chief of Staff for the Long Beach City Prosecutor’s Office, where he assisted the elected City Prosecutor with matters involving public policy, administration and the department budget. He also directed all communications and community and media relations functions and was responsible for implementing and managing various successful programs. With other companies, Dr. Hacegaba has served as a marketing manager, research analyst and corporate and public affairs consultant. Dr. Hacegaba is a graduate of the University of Southern California, where he earned degrees in economics (BA and MA), business administration (BS) and urban planning (MPL). 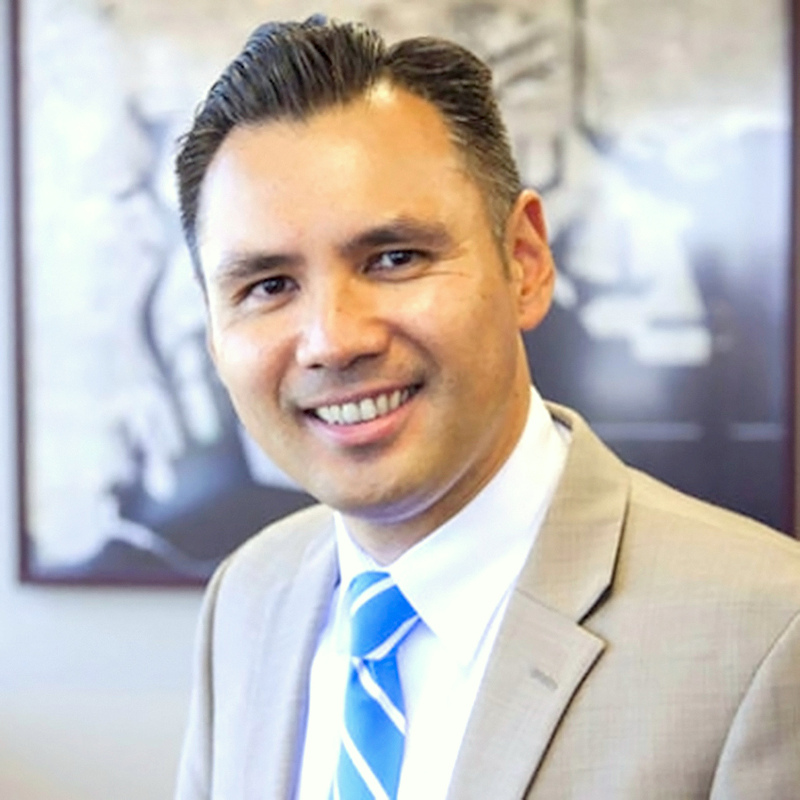 He earned his doctorate in public administration at the University of La Verne, where he continues to serve on the faculty of the school’s College of Business and Public Management. Dr. Hacegaba is also a graduate of the Coro Fellows Program in Public Affairs, one of the nation’s premier post-graduate fellowship programs, and earned his designation as a Certified Port Executive (CPE). In addition, he is a candidate for the Port Professional Manager (PPM) professional designation offered through the American Association of Port Authorities (AAPA). As part of his work in the PPM program, Dr. Hacegaba authored a white paper, titled “Big Ships, Big Challenges: The Impact of Mega Container Vessels on U.S. Port Authorities,” which was recently published by AAPA and distributed as a reference resource for the industry. He also represents the Port of Long Beach on the AAPA Maritime Economic Development Committee. An active member of the community, Dr. Hacegaba is a member of the Marine Exchange of Southern California Board of Directors, Harbor Association of Industry and Commerce Board of Directors, St. Mary Medical Center Board of Trustees, the Long Beach City College Foundation Board of Governors and the Los Angeles/Long Beach Propeller Club. The Port of Long Beach is the premier U.S. gateway for trans-Pacific trade and a trailblazer in innovative goods movement, safety and environmental stewardship. As the second-busiest container seaport in the United States, the Port handles trade valued at $180 billion annually and supports hundreds of thousands of jobs. Founded in 1911, the Port serves more than 140 shipping lines with connections to 217 seaports around the world. Goods moving through the Port reach every U.S. congressional district and help support nearly 1.5 million trade-related jobs across the nation, including 300,000 in Southern California. The Port is continuing with a decade-long capital improvement program topping $4 billion, the largest in the nation, building some of the most modern, efficient, productive and sustainable marine facilities in the world.